The club this evening held the Annual General Meeting at the Coach and Horses in Wimborne. The evening was well attended by members who enjoyed a buffet supper and a game of skittles. During the AGM the Clubs Officers were Elected/Re-elected. The Club Officers make up the committee which runs the club, organises the training schedule, rotas, services the equipment and much more. They are all volunteers and mostly their work is done in the background in many cases on top of their responsibilities as Club Trainers. We would like to thank the Club Officers for 2018 for their time and effort over the past year and a special mention to those Officer who are not standing for re-election this year; Andy “Hamish” Goral, Anthony Gawler & Jo Cook. This evenings Beach Session marked the conclusion of Beach Training for Rookies and Cadets for 2018. MONDAY. 1st OCTOBER 2018 AT 7-30 P.M. Please would you let me know if you are able to attend. You can let me know by e-mail The cost of the meal is £8.50 and I need to know in advance of attendance so that I may order the correct amount of food. Last year we had some members who arrived unexpectedly and I want to ensure everybody is catered for. will also need to obtain their signature that they are willing to stand. 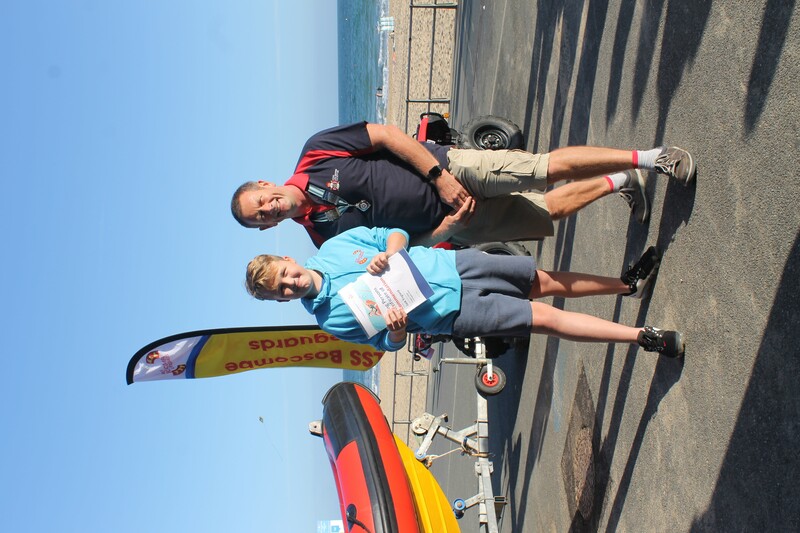 Boscombe Cadet Jack was last night presented with a RLSS Young Persons Certificate of Commendation for performing a rescue in which he towed a young girl who was stuck under an inflatable to the safety of the pool side. His certificate was presented by RLSS UK President Ian Hutchings, who said in most case where a person gets in to difficulty it is the persons nearest that start the rescue and having the training to identify what was going on and react is crucial. 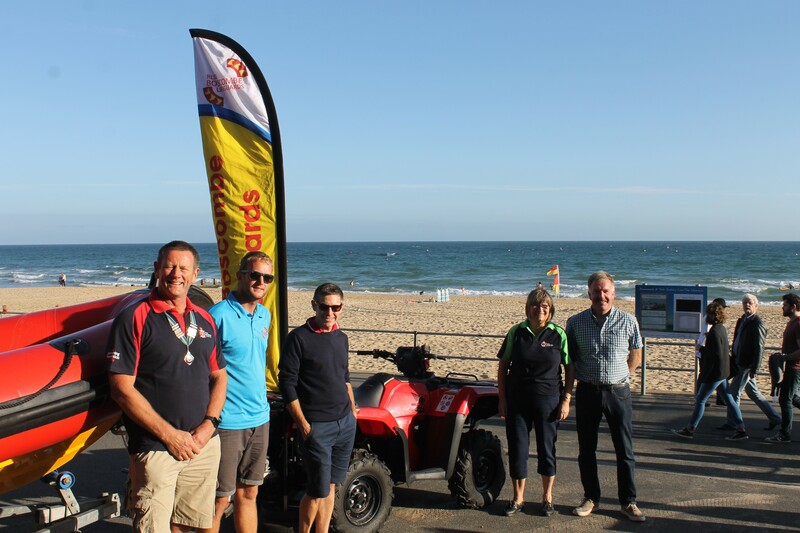 RLSS Boscombe Lifeguards were joined by representatives from C&O Tractors and The Talbot Village Trust for the official handover of the new Quad Bike. The Quad Bike is an essential piece of equipment for the club as it is the only means of towing our 4.8m Inshore Rescue Boat from the Clubs unit on the Boscombe Promenade to the waters edge to launch. Our old Quad Bike which was second hand when the club purchased it was starting to show its age in the past 2 seasons and was struggling to cope with towing the boat especially across soft sand. So a decision was made to look to funding a replacement. The Club approached The Talbot Trust (The Talbot Village Trust is a registered charity which supports causes in Christchurch, Bournemouth, Poole, East Dorset and the Isle of Purbeck. It is one of the area’s leading benefactors and, over the past couple of years, has donated nearly £2 million to charitable causes and local community projects. www.talbotvillagetrust.org ) who assisted with the funding for our current IRB “Boscombe Zulu”. The Talbot Trust kindly agreed to part fund the new Quad Bike so work commenced in finding a suitable replacement. C&O Tractors who had previously supplied and serviced our quad bikes identified the model we required, larger with Diff Lock it would provide better pulling power allowing the new Quad Bike to be able to pull the boat with out the need for people to assist by pushing thus increasing the safety of the launch and recovery phase. Through Fundraising at the club the required monies were raised and the New Quad Bike came into service at the start of the 2018 season. The difference it has made to the launch and recovery of the Rescue Boat has been impressive. 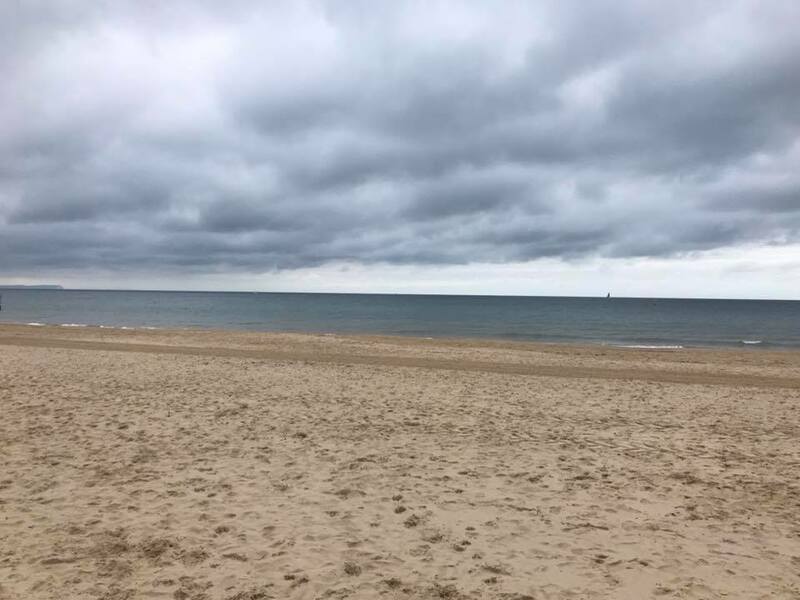 Since the club ceased operating a Lifeguard Service on Bosc ombe Beach, Rescue Boat Zulu has been the primary rescue service provided by the club, attending local events providing cover at the Bournemouth Airshow, Bournemouth Evening Fireworks. Alongside Safety Cover for swim events including, the Seahorse Swim and Brownsea Island Swim. The New Quad Bike has allowed us to continue to provide this service while ensuring the safety of our crews. 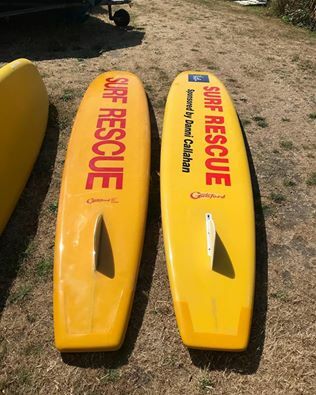 A ll our Malibu Rescue Boards are now back from repair and servicing ready for the remainder of the season. Some of our boards are approaching 20 years old and required some TLC to make them ready for our Home Twilight and many years of service to go. 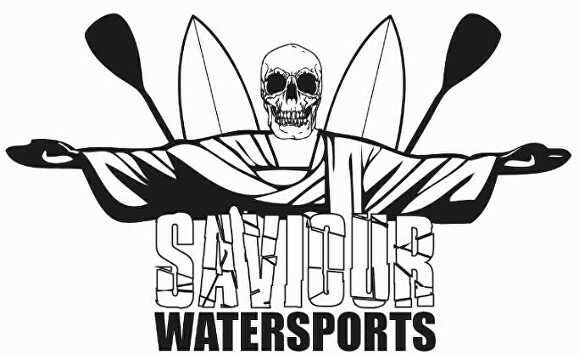 The repairs and servicing was carried out by a local company Saviour Watersports in Christchurch who undertook the work charging the club a reduced rate in recognition of the service RLSS Boscombe Lifeguards provides to the community. The repairs look smashing and have already been put to the test our thank to Saviour Watersports for their superb work on our boards. 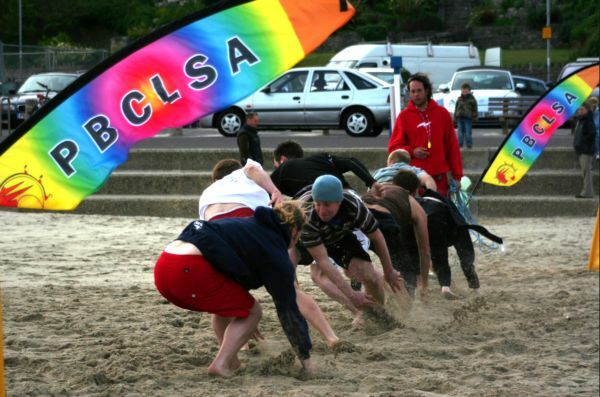 This evening Boscombe hosted its first PBCLSA Beach Twilight in almost 5 years, from its unit on Boscombe Seafront. It was a really good evening with participants from Boscombe LGs, Southbourne Surf Lifesaving, Branksome Chine Surf Lifesaving and newly formed Weymouth Surf Lifesaving Clubs. The atmosphere was great as participants went through the different events including Board Races, Surf Swim, 2Km Runs, Beach Flags and Beach Relays. Our thanks to our neighbouring clubs for attending and making this a great event. 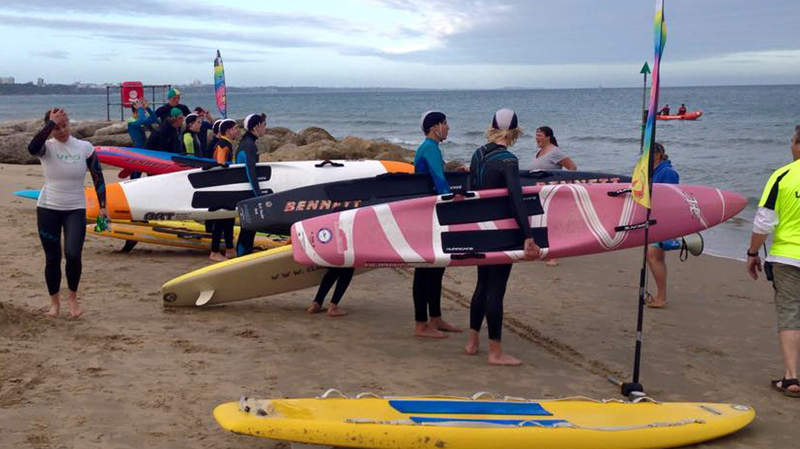 From Sunday the 17th June all Sunday training will be held at the beach. Boscombe Lifeguards was down at Bournemouth Pier early this morning to spread the word of “Dont Drink & Drown” to several hundred survivors of the Bournemouth University Summer Ball who congregated for a photo on the beach. 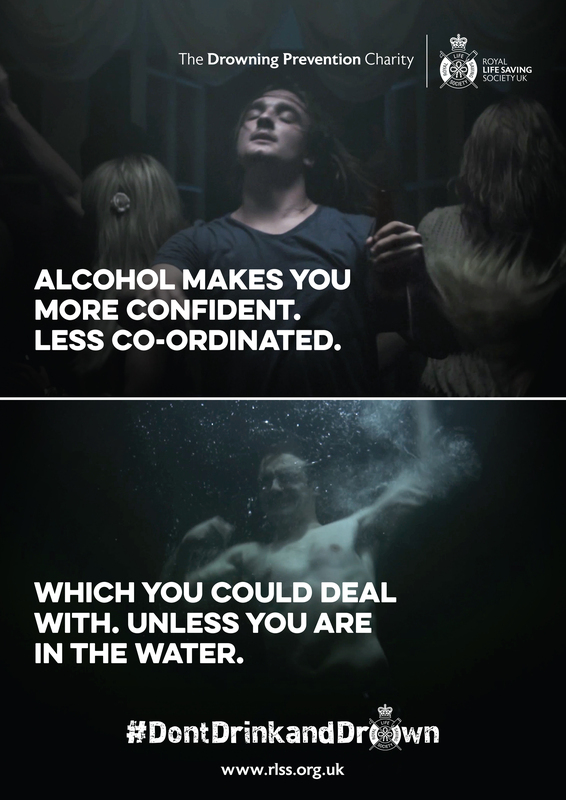 The event was held in good spirits and volunteers from Boscombe Lifeguards distributed special branded bottles of water while spreading the word of Water Safety awareness especially after a night out. A big thank you to all members who turned out to support this event. The Boscombe Cadets accompanied by several seniors competed at the first of the PBCLSA Summer Twilight Competition Series which took place at Southbourne. It was great to see so many parents down supporting those competing for the club. Don’t forget Boscombe Lifeguards will be hosting the 3rd Summer Twilight and will be looking for parents to assist in the running. Nothing from April 24, 2019 to July 23, 2019.